After having successfully directed SARKAR and SARKAR RAJ, film maker Ram Gopal Varma is ready with his next in the same series called SARKAR 3. There have been tremendous expectations from this film. But will SARKAR 3 prove to be ‘third’ time lucky or will it face a washout, let’s analyse. 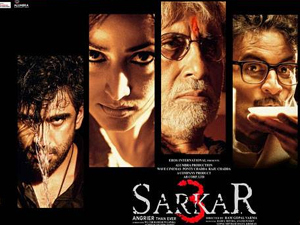 SARKAR 3 is a political thriller with strong undercurrents of strength, might, betrayal, power games and relationships. The film starts off with the line ‘Real power is not about fear, it comes out of respect’. This is followed by the introduction of Subhash Nagre’s (Amitabh Bachchan) inspirational and motivational speech to his followers. 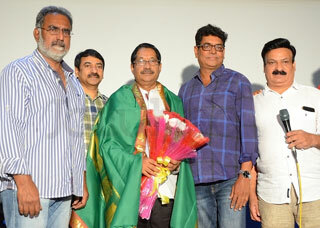 The film starts building its momentum when Subhash Nagre plainly refuses to partner on a Rs. 200 crore project in Dharavi, which is brought to him by a certain Mr. Gandhi, on behalf of Michael Vallya (Jackie Shroff). The story deviates into yet another angle with the sudden entry of Shivaji Nagre aka Cheeku (Amit Sadh), who happens to be Subhash Nagre’s grandson. Right from the time he enters the scenario, Shivaji starts dictating his own terms, which leads to a cold war between him and Subhash Nagre’s most trusted man Gokul Satam (Ronit Roy). Despite being Subhash Nagre’s grandson, he falls in love with Annu (Yami Gautam), a girl who’s father was apparently killed by Sarkar. What follows after is a series of planning and plotting, broad daylight murders and display of political power. Amidst all this, a political leader Govind Deshpande (Manoj Bajpayee) gets killed by unknown people. What follows after that is a sudden turn of events which makes Subhash Nagre and his grandson Shivaji Nagre enemies of each other, so much so that they vow to kill each other. Do the grandfather and grandson end up killing each other, what role does Annu play in Shivaji Nagre’s life and do the lovebirds ever unite, despite the staunch opposition from Subhash Nagre… is what forms the rest of the film. After having directed VEERAPPAN last year, filmmaker Ram Gopal Varma is back with SARKAR 3, the third in the SARKAR franchise. As a director, Ram Gopal Varma has completely lost his grip on the ‘SARKAR’ franchise. In an attempt to tell a hard hitting political story, Ram Gopal Varma keeps on going around in circles with SARKAR 3. What adds to the misery is the fact that, every second character in the film speaks in a parable and keeps giving out philosophy on how to live in a political world! But at no point do they speak anything that is even remotely associated or related to the main story plot, which only adds to the confusion and the irritation. It won’t be wrong to say that there are many places where Ram Gopal Varma loses grip, which makes the film does go astray. The film’s first half holds your attention due to character introductions and also with a certain hope to see a larger set up in the second half. The film’s second half however turns out to be a massive let-down and goes straight into a disastrous circle, leaving the viewers to wonder as to how could Ram Gopal Varma go wrong even with his most celebrated ‘Sarkar’ franchise. Even the end of the film is random and cuts in the middle of a scene. This is where one gets convinced about Ram Gopal Varma’s confused state of mind while making this film. 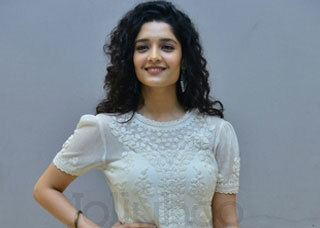 The film has got nothing new to offer except caricatural depiction of the earlier two films. As for the performances, no prizes for guessing as to SARKAR 3 is an out and out Amitabh Bachchan film, who has done an extremely commendable job. He holds the film with his strong persona and intensity. However, it is due to the lack of a credible story plot that even a legendary actor like him starts struggling with his character, which becomes seemingly evident, after a point. Following him on a close second is Amit Sadh, whose portrayal of Sarkar’s grandson is truly commendable. He is consistent throughout the film and delivers a good performance. While Ronit Roy is decent in his character, the same cannot be said about the rest of the characters. The sad part about SARKAR 3 is that, it sees the extremely talented actors like Jackie Shroff, Manoj Bajpayee, Supriya Pathak, Rohini Hattangadi totally wasted in the film. Speaking of Manoj Bajpayee, one feels really sorry for his character as it showed so much promise. On the other hand, there is Jackie Shroff, who has a totally gimmicky role, wherein he is eternally busy talking to some unknown entity on his phone. If that wasn’t enough, he is also in constant company of a skimpily clad woman who keeps jumping and dancing around like a clown, adding unintentional humour. Also, one really wonders as to what made Yami Gautam say yes to this film as she gets reduced to a prop with a poker face and has only a couple of lines to speak. With the premise of SARKAR 3 being political, there is hardly any place for music (Ravi Shankar), except for a religious Ganpati aarti. The film’s background score is totally disconnected from the ongoings on screen. While the cinematography (Amol Rathod) is average, the film’s editing (Anwar Ali) is terrible. The film even suffers from poor dubbing at many places. On the whole, SARKAR 3 comes across as an old wine in a new bottle and offers nothing new to the audience. At the Box-Office, the movie will find it difficult to sustain and will end with a whimper.